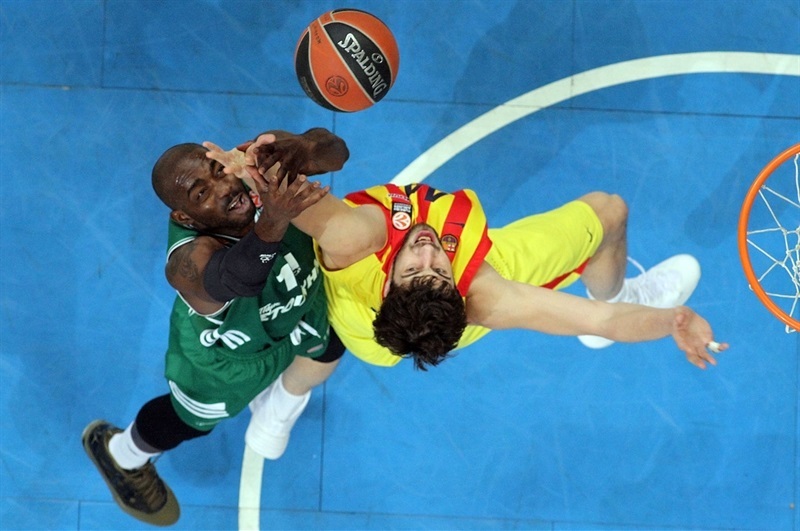 FC Barcelona held Panathinaikos without a basket for the final six minutes in claiming a 56-63 road win over the Greens at the Olympic Sports Center in Athens. 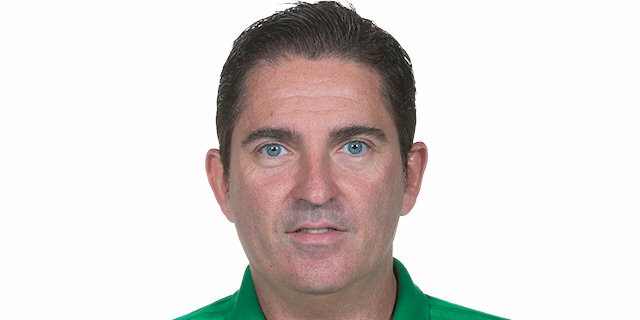 The victory kept Coach Xavi Pascual’s squad as the Euroleague’s only unbeaten team through five Top 16 games. Barcelona also tied its own record with 17 consecutive Top 16 wins and set a new mark with nine consecutive Top 16 road win. Marcellinho Huertas shined early as the visitors used a 0-12 run between the first and second quarters to take the lead for good. The lead peaked at 13 before Panathinaikos used defense to rally in the second half. However, despite limiting Barca to 19 second-half points, the Greens scored only 2 in the final six minutes after closing within 5. 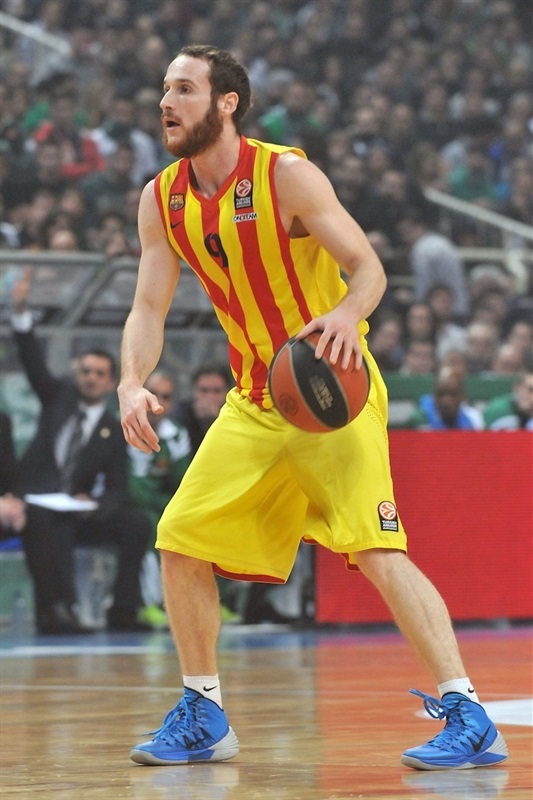 Marcelinho Huertas led Barcelona with 17 points and Kostas Papanikolaou added 14. Dimitris Diamantidis and Stephane Lasme led Panathinaikos with 13 points apiece. Lasme also grabbed 8 rebounds; Diamantidis dished 5 assists and grabbed 3 steals. Jonas Maciulis added 11 points in defeat. Lasme scored the first basket for the hosts. Erazem Lorbek got the visitors on the scoreboard. 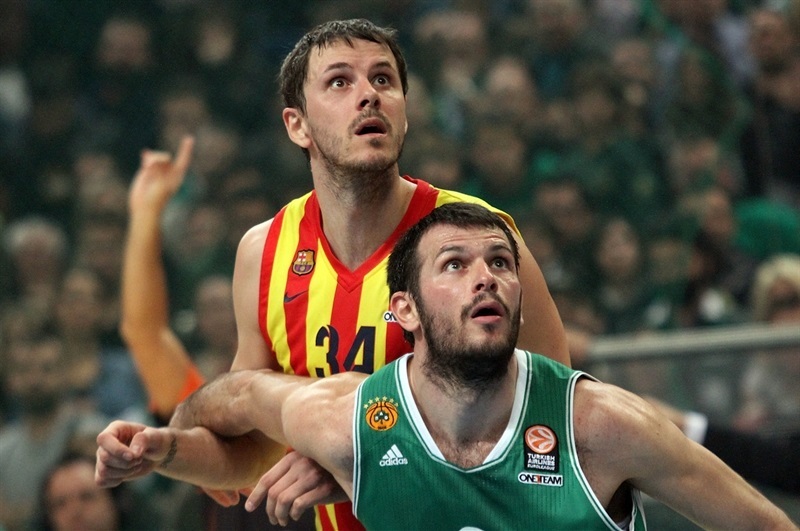 The Panathinaikos fans booed in unison when Papanikolaou dunked for the visitors. 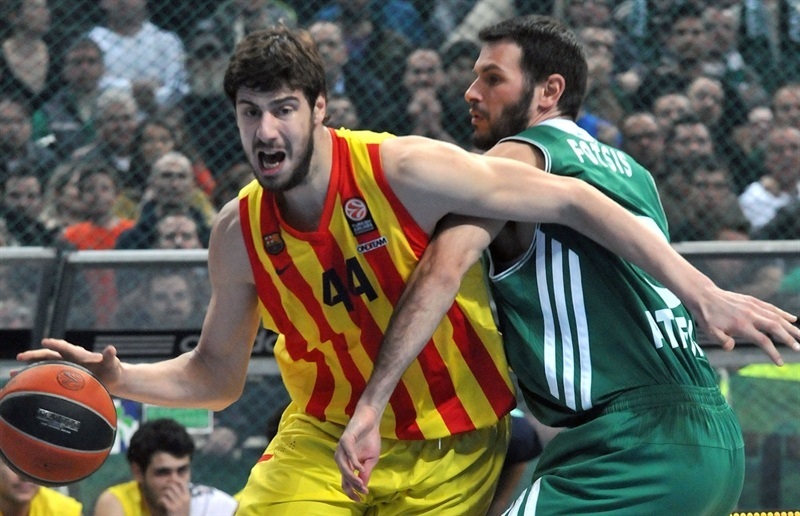 Ante Tomic scored inside before dishing to Papanikolaou. Huertas’s layup capped a 0-10 Barcelona run. After a timeout, Lasme scored again for the Greens, but the hosts kept the pressure on. Lorbek scored on the offensive glass and Huertas drilled a three to make it 4-15. Diamantidis looked to change things; first he scored and then set up Roko Ukic for a layup. Maciulis brought the Greens within 4 only to see Huertas match his triple. 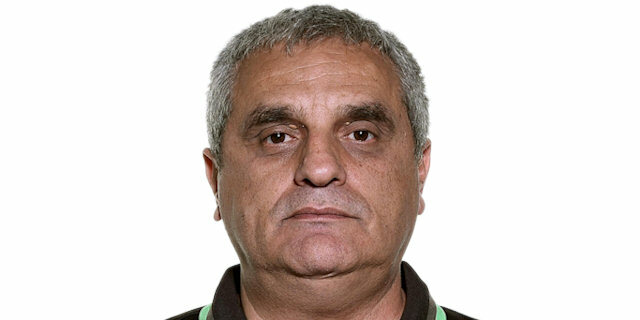 But Antonis Fotsis sank a three. Huertas’s layup gave him half of Barcelona’s first 20 points. Lasme fought on the offensive glass for a three-point play. Papanikolaou scored again, but threes from Maciulis and Ramel Curry made it 23-22. However Brad Oleson drove to the basket to make it 23-24 after 10 minutes. Barcelona pulled away again as Huertas scored three points over two possessions, Bostjan Nachbar added a three and Joey Dorsey slammed home an offensive rebound. Alex Abrines free throws capped a 0-12 Barca charge for a double-digit lead. 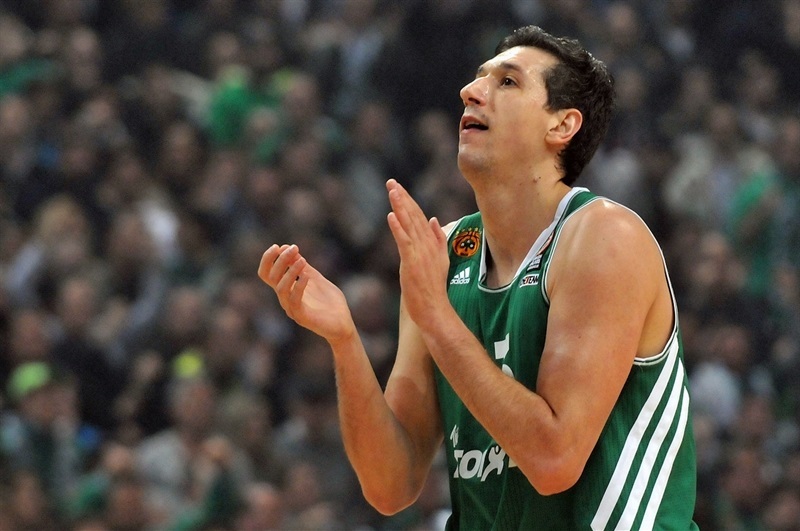 Diamantidis free throws ended a nearly four-minute long scoring drought for Panathinaikos. A Maciulis steal led to a Mike Bramos slam that made it 27-34 midway through the quarter. Lorbek banked in a three before Diamantidis waged his way inside for a layup. A Papanikolaou triple stretched the Barcelona lead to 29-40. Victor Sada’s floater stretched the lead to 13. Fotsis sank his second three, but Sada darted in for a layup and a 32-44 Bacelona lead at the break. A Diamantidis steal and Bramos three was just the start the hosts needed for the second half. Panathinaikos put James Gist on Marcelinho defensively, which seemed to fluster the visiting attack. Diamantidis fed Lasme for a slam and then penetrated and scored himself to narrow the gap to 5. 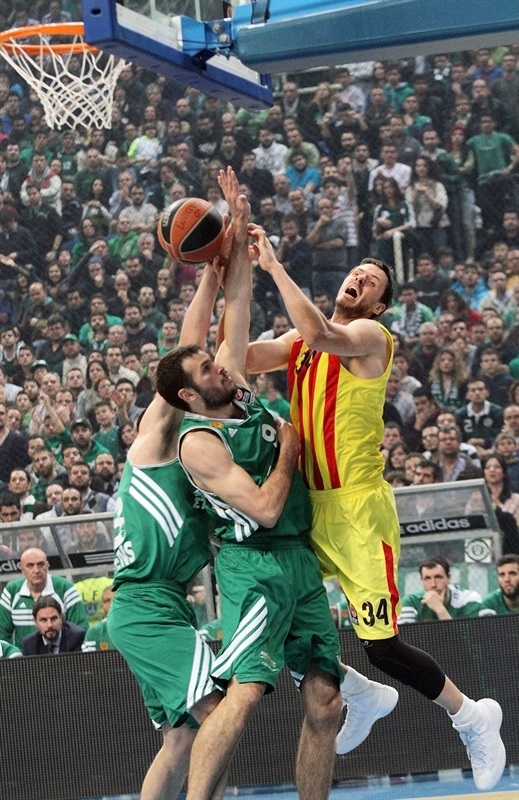 Barca slowly regained control through baskets by Dorsey (goaltending) and Papanikolaou. Fotsis sank a three from the corner to make it 42-48. Fotsis assisted Lasme for a slam, but Tomic scored at the other end. A Diamantidis three in the final seconds of the quarter drew Panathinaikos within 47-52. 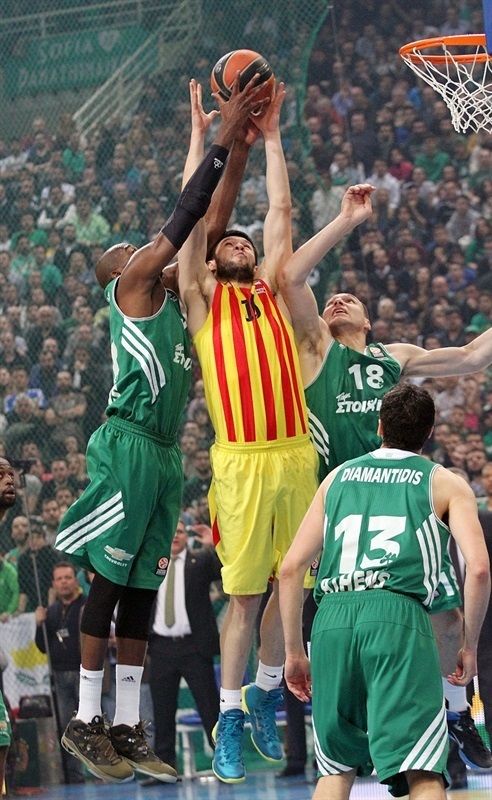 Oleson beat the 24-second clock with a three from the top of the key, but a Lasme jump hook kept Panathinaikos close. 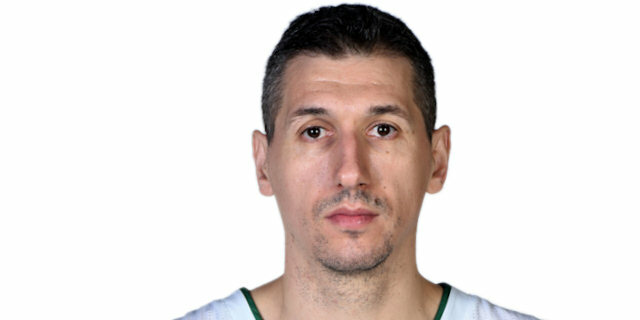 Diamantidis twisted his body into knots as he penetrated to make it 51-55. 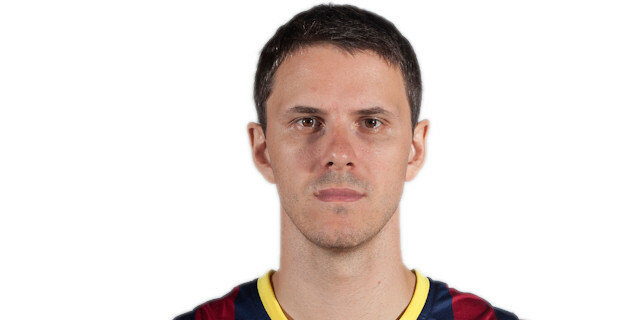 Huertas struck back quickly for Barcelona; he penetrated for a layup before Oleson’s steal left Marcelinho for a floater. Maciulis’s third three of the night was wiped away by a Papanikolaou three that made it 54-62 midway through the quarter. There was great physicality on both ends, but the result was no baskets for two and a half minutes. Maciulis free throws made it a two-possession game. But turnovers and missed shots summed up the final two minutes and the Greens never got closer than 6 as Barcelona held on for victory. "Barcelona was better than us tonight and they took a fair win over us. In the first half we had lack of concentration, especially in the defensive end. Huertas created damage with his creation. I think we tried hard, but we couldn't finish some fast breaks and that cost us, while Barcelona closed the paint with Tomic letting us shoot the ball from outside. We are satisfied by our effort, not by the result. I think we were in a little bit of rush and with teams with such quality and depth you pay for that. " "We are pleased by the victory. Defensively and offensively we started very well. We moved the ball, we took control defensively, while in the third period Panathinaikos's offense changed the rhythm of the game and our plan. We faced some problems, but we are a mature team and figured out ways to take this win. I would say it is too early for first place to be decided. Or even second. 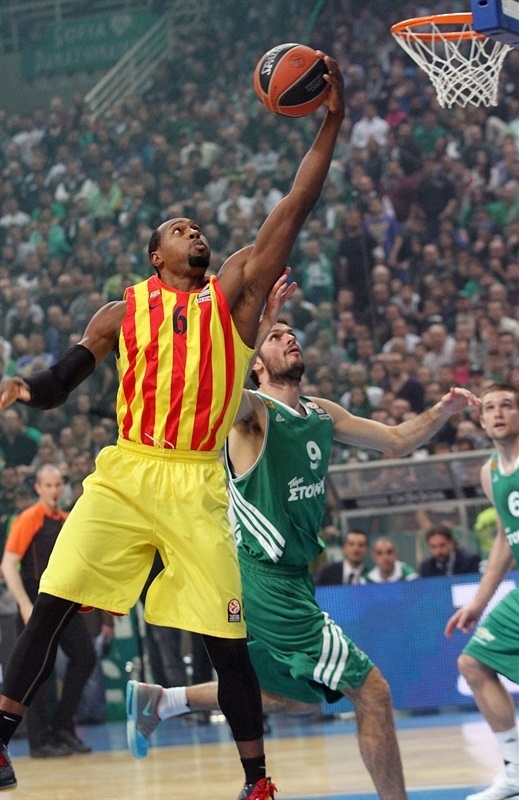 It was just the fifth game out of 14 in the Euroleague Top 16. We have the Copa del Rey now and after that, many important games. " " We started the game without having good rhythm. We were not effective defensively and as a result our opponents took the lead. We tried to react by improving our defense, but every time we did something right, we had bad choices in offense and we lost. Unfortunately, these details against big opponents cost. There are mistakes that you pay for and we have to continue our effort in order to improve, because the Top 16 is very long. " "In the first half, we had the opportunity to use our advantages against Panathinaikos to take the lead. In the second part of the game, they managed to control the pace of the game and tried to come back. Their defense became stronger keeping us in single digits during the third period, but despite the low tempo we found solutions to keep the lead and escape with a great win. "